Jan 14, 2006 in "Epcot International Flower and Garden Festival"
"Thirteen" is a lucky number for fanciers of flowers, because 2006 marks the 13th spring that Epcot has blossomed with the flora of its International Flower & Garden Festival. Opening April 21 and continuing daily through June 11, the festival features signature topiary, specialty gardens abloom with millions of flowers, how-to gardening seminars and demonstrations, butterfly and ladybug releases plus other activities and areas for junior green thumbs, specially themed weekends and daily Flower Power music concerts. 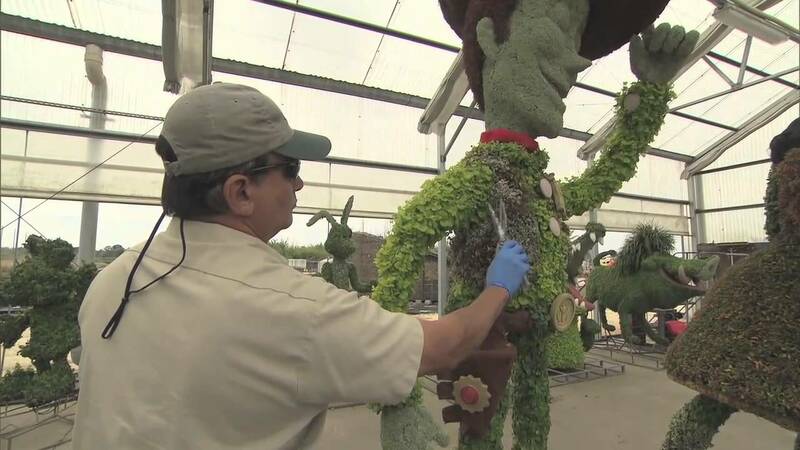 Epcot guests can make plans for visits to the 13th annual Epcot International Flower & Garden Festival by calling 407/W-DISNEY. The festival is included in regular Epcot admission.